Sure, sure, it’s old news that kayaks are a deadly effective tool for slipping up quietly on redfish grazing for lunch is marsh ponds only a foot deep. But speckled trout is a whole ’nother game. Unlike their shoreline-hugging, homebody cousins, trout roam open waters like packs of wolves searching for victims. Even in winter, when speckled trout retreat to interior marshes, they still prefer more-open water than do redfish. So being able to move long distances comfortably and fish wind-affected waters are important factors when fishing speckled trout from a kayak. Look for a self-bailing kayak. Because a lot of speck fishing is done in the open, water often comes over the sides. These kayaks are often referred to as “sit-on-top” kayaks. A big decision is whether to opt for a paddle kayak or a pedal kayak. While paddle kayaks can work shallow water better because they have no drive system or rudder beneath the craft, pedal kayaks are better for trout fishing in every other way but one — price. A good paddle kayak costs $1,000 to $1,800. A similar quality pedal yak costs $2,300 to $3,200. The angler’s hands are free all of the time. By never having to take one’s hands off the rod, more casts are made per day. More casts mean more water covered, and more water covered means more trout. 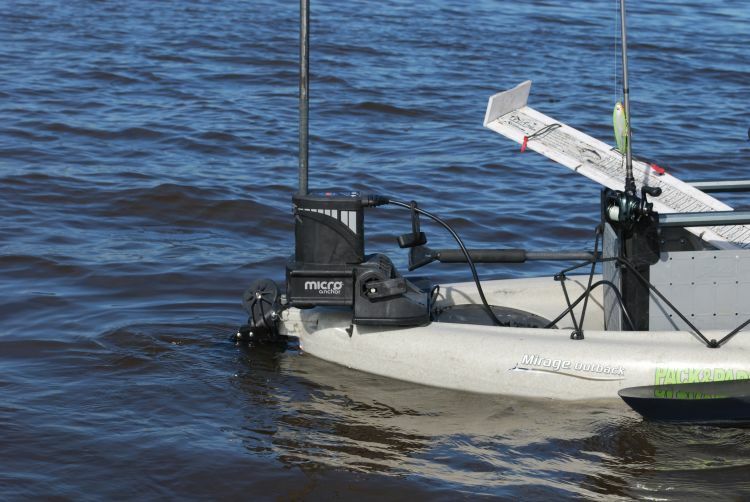 The long distances often necessary for speck fishing can be covered more comfortably with a pedal kayak. Leg muscles are stronger than arm muscles. With redfish, the kayaker is often tucked behind marsh grasses, out of the wind. Not so with speckled trout. Paddle blades are out of the water part of each stroke; with pedals, the blades are constantly engaged, so it is easier to deal with wind on open water. To hold one’s spot on open water, one must pedal often or use an anchor. Pedals are far better for trolling, a tactic often used by kayakers to catch trout. One rod can be put in a rod holder, and the angler can hold another one in his hands. The rod in the hand allows the fisherman to judge whether his lures are on the bottom. For trolling, the rod holder must be mounted in front of the angler rather than behind him. 3) External storage for rods is important. 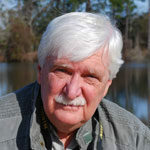 Speckled trout fishing demands the use of more lures, so an angler should have several rods rigged. 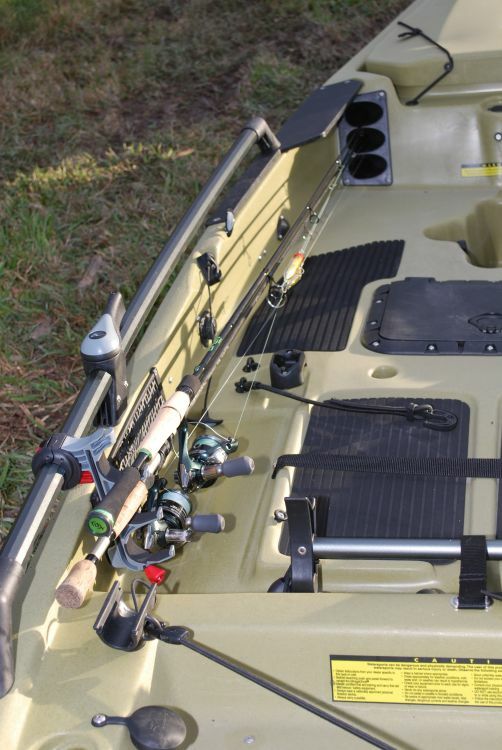 A trout kayak should also have space for tackle boxes for the same reasons. 4) Longer kayaks are better for trout fishing because much of it is done in open water and longer boats are drier. A minimum of 12 feet is recommended, and anglers weighing more than 225 pounds would probably benefit from a 14-foot kayak. 5) Installing a good anchoring system is very important. The angler needs to nail the boat in a spot when he gets a bite to thoroughly work the school. It is easy to lose track of a spot if the boat drifts while a fish is being fought. 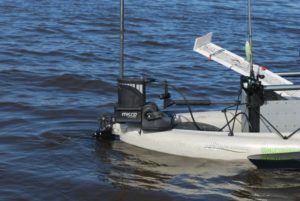 6) If a fisherman plans to use a lot of live bait, he should consider buying a kayak livewell made by Hobie (the only maker). It has a powered circulating system. The Live Well XL also has a recirculating feature. 7) Because trout kayakers fish open water used by power boats, they need to be visible early and late in the day. Williams recommends a 360-degree light. The most popular one sold is the VISIpole.